Today, March 26, at 7 p.m. I will celebrate the annual Chrism Mass at the Corpus Christi Cathedral. I want to invite each one of you, your family, your friends and your neighbors to attend this solemn and beautiful Mass. At the Chrism Mass I will consecrate the three oils used in administering the sacraments at every church in the Diocese of Corpus Christi during the upcoming year. The Oil of Catechumens used in Baptism, in the consecration of churches, in the blessing of Altars and in the ordination of priests. The Holy Chrism is used in Confirmation, Baptism and the consecration of a various articles such as churches, chalices, patens and bells. The Oil of the Sick is used in the Sacrament of the Anointing of the Sick. As many priests of the diocese as can attend will participate at this solemn observance of Christ’s institution of the priesthood. 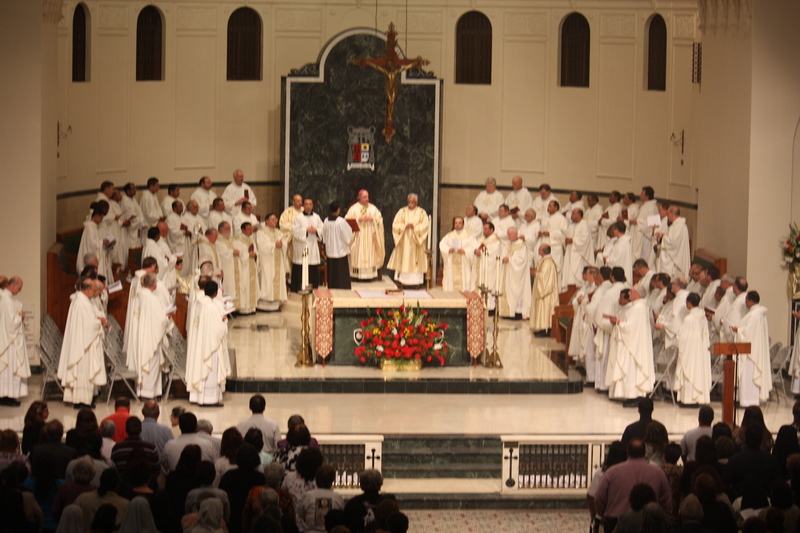 The Liturgy accents the priesthood, expressing the communion of priests with their bishop. This year, the Chrism Mass will take on special significance, as it will mark the conclusion of our yearlong Centennial Jubilee. As many of you recall, we opened “A Century of Tradition-Lifetime of Faith” with a symposium and Mass at the American Bank Center a year ago. The event, featuring Timothy Cardinal Dolan as our keynote speaker and Daniel Cardinal DiNardo as the celebrant of the Mass, was a great success which energized everyone who attended. While the formal observance of the jubilee will come to end, the diocese will continue to recognize the contributions made by the faithful over the last 100 years at our acentruyoftradion.org Web site and through the South Texas Catholic. An interesting historical note is that while the diocese was erected on March 1912, the first bishop did not actually arrive in the diocese until June 1913. So, as this fact suggests, we can still continue to observe this momentous time in our diocese. I look forward to seeing as many of you as can come at the Chrism Mass.